NUBE propone un “modern feeling” che unisce divani e tavoli di innovativo design, elevata qualità, originalità e vero comfort per una clientela selettiva ed esigente. Dal 1958, in un mercato che ha visto molti cambiamenti, il fondatore, sig. Nicoli, e la sua famiglia sono rimasti degli stimati produttori italiani. Il desiderio di posizionarsi nell’alto livello del mercato, si riflette nella scelta di Nube di collaborare con noti architetti quali, Carlo Colombo, Riccardo Bello Dias, Volpato Hatz, Philippe Nigro e Maurizio Salvato. 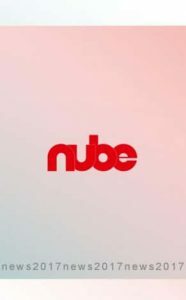 The way followed by Antonio Nicoli for the establishment of NUBE company started in 1958 with the tertiary work for the production of metal frames for sofas of still today very well known companies. In a few years the little company grows and develops quickly: they start the production of stuffed products and the creation of the first collections. 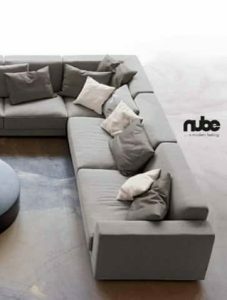 The company NUBE is born with a name meaning softness of the cushions. Always directed by Antonio Nicoli, NUBE has a phase of big expansion on the national territory in the 70th. In the following years they start the export activity especially to the Middle Eastern markets, adapting parts of the production to “Style products”. But the company doesn’t ignore the other markets and in the 90th they renew the production exhibiting modern collections, letting Italy be the distribution point and starting to work with USA, Europe and Far East. Now NUBE has an international character and it is time to grow -with the entry in the company of the sons of Antonio: Simona and Corrado Nicoli – and to think to Design. We are in 2000 and they start cooperating with Carlo Colombo and Marco Corti, who wish to renew the production and the imagine of the company. Now the foreign markets absorb 90% of the total production and pieces of our collection furnished rooms of the Mecca, some restaurants of Planet Hollywood chain, Porsche distributors in Germany, famous restaurants in London, important hotels in Singapore, Novotel in Paris and Lugano, the Vip Lounge in New York JFK airport, Bentley car distributors and the seat of a famous German tv network.. The company is also a producer for some Home Fashion Brand. In 2017 the company starts the cooperation with the designer Giuseppe Viganò who creates a new corporate imagine, fresh and contemporary, adding to the catalogue new Design products always keeping his production style. NEED MORE NUBE ITALIA INFORMATION ?